In this interview, Chris Reifert, the drummer of Autopsy recalls his time with Chuck Schuldiner & Death during Scream Bloody Gore era. It has been 30 years since one of the first death metal albums were released and therefore, we pay respect to this bloody gore masterpiece. Agoraphobic News: When did you meet Chuck for the first time and how did you join Death? Chris Reifert: I met him in early 1986 when he was living here in the Bay Area. Probably around March or so. He had placed a radio ad looking for band members so I called him up and we hit it off right away. He asked what bands I liked and I remember mentioning Slayer, Kreator, Artillery, Sodom and stuff like that. We got together and next thing I knew, I was in the band! Agoraphobic News: You played on Mutilation demo. But what was the very first Death demo you’ve heard live? Chris Reifert: Death By Metal was the first demo I heard, back when they were called Mantas. I collected all the other demos after that. 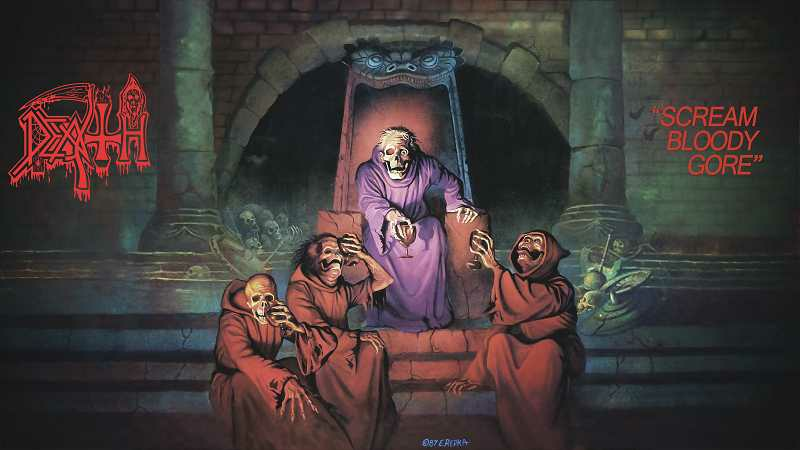 Agoraphobic News: What was Chuck’s reputation in the underground scene before and after Scream Bloody Gore was released? Chris Reifert: Before? 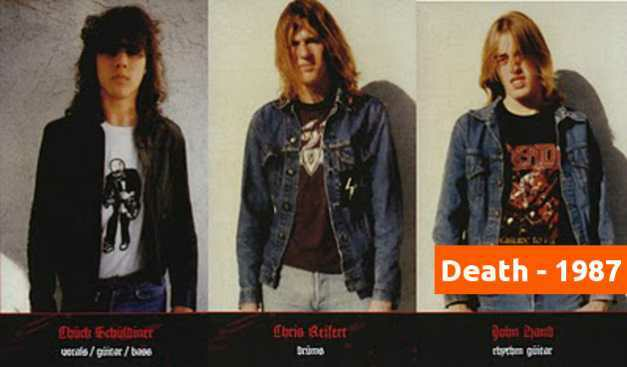 Well, Death was super underground at that point, but the demos were fairly well known. After Scream Bloody Gore came out, Death really started to take off as you know. Agoraphobic News: How extreme did that album sound in 1987? Chris Reifert: That's hard for me to say since I was so immersed in it if you know what I mean. It sure sounded heavy to me though. Still does! Agoraphobic News: It’s cool to note that Chuck recorded Mutilation demo and his debut album in Los Angeles, California, or to be more precise in the Music Grinder studio with Randy Burns. What was Chuck doing in California? 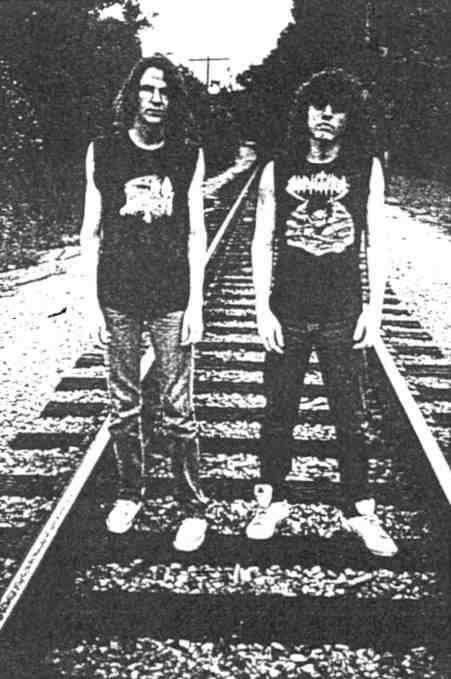 Chris Reifert: Mutilation was actually recorded in Lafayette, which is up here in the Bay Area, but yeah, we did Scream Bloody Gore in L.A. As I said earlier, Chuck was in California looking to find a new lineup for Death. Fortunately for me he was 20 minutes away from where I lived at the time. Agoraphobic News: Does the fact that Possessed’s Seven Churches was recorded in the same studio have something to do with that? Chris Reifert: No, though we loved that album. It was Combat's idea to send us there and we were really damn happy about that. Agoraphobic News: California is better known for its Bay Area thrash metal scene. Was Chuck influenced by these bands? Chris Reifert:No, not at all. He wanted to make music much heavier than what was happening in the local thrash scene. Having said that, I know he liked Possessed a lot, though they kind of straddled the line between thrash and death metal. They were one of the first bands from here that didn't sing about politics or banging your head in the pit or whatever. Great band! Agoraphobic News: It’s pretty cool that bands like Possessed and Autopsy are from California. So my question is pretty ironic: is Bay area the birthplace of death metal? Chris Reifert: Well Death started off in Florida, so there is that to consider. I know there's some debate about who was the first DM band, Death or Possessed. I don't really worry about that though. I'm just glad to have been a part of all this madness at ground zero. I'll leave the debating to whoever is up for that. Haha! Agoraphobic News: Chuck recorded all the riffs and bass lines by himself. How come that it was a two-piece band at the time? Chris Reifert: Funny as it sounds now, we couldn't find any other band members at that time. We tried but got no results. That shows you how weird death metal was back then. It was strictly for freaks. Agoraphobic News: John Hand was credited for playing on the record even though he didn’t record a single note on it. Was that making some issues for Chuck after releasing the album? Chris Reifert: All I can say is we told Combat to specify on the album that Chuck played all the stringed instruments as well as vocals and they ignored our request, which resulted in the confusion regarding John. Combat definitely didn't take us seriously at first. The quote in the liner notes "This album is Don Kaye's folly" should tell you everything you need to know. 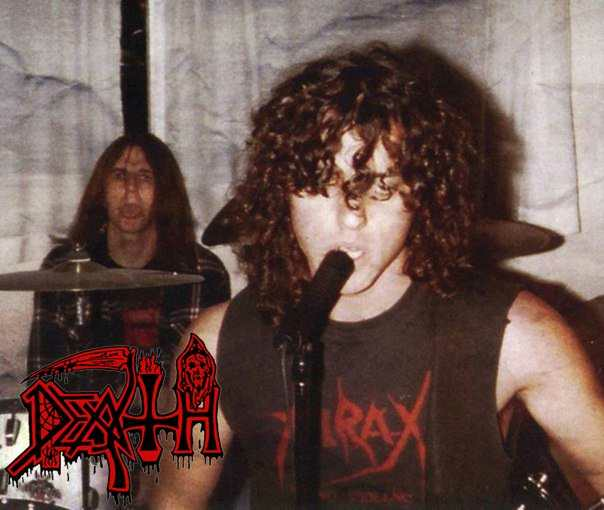 Agoraphobic News: Was Chuck Schuldiner obsessed with horror movies and blood and gore? Chris Reifert: Yeah, pretty much at that point. That would change soon enough though. Agoraphobic News: Why did you leave the band? Chris Reifert:Chuck made the decision to move back to Florida. He went back for a visit and decided to stay there. I was told that I could move there if I wanted and remain in the band, but I stayed here and started over with Autopsy. Chris Reifert: Well, we were both teenagers when I was in the band, so we were goofing around a lot and stuff like that. Nothing was taken too seriously except the music. At that time we were really close friends and that's what I'll remember the most. As a musician, I was totally stoked to jam with him, especially since I was already a fan of the band before I got to join. It was one of those right time, right place things and I feel lucky to have been a part of the Death story.